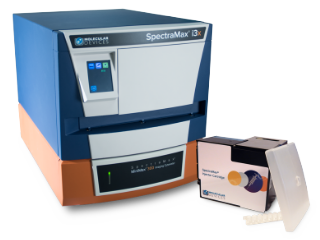 The Threshold Immunoassay System measures a wide range of analytes such as host cell proteins, bovine contaminants (BSA, IgG, transferring and insulin), Protein A and G, and total DNA at low concentrations. To simplify assay development, all reagents are supplied in pre-packaged kits to label your antibodies or commercially available antibodies. To optimize the interaction between the antigen and antibody, binding occurs freely in solution where the molecules are maintained in their native conformation and antibodies retain 100% of their activity. Assay sensitivity for proteins and peptides is typically equal to or better than radioimmunassays and at least 10X better than ELISA assays. When measuring DNA, sensitivity as low as 2 pg can be achieved. Typically assays have a dynamic range of 2 logs or greater, so fewer sample dilutions are required for accurate quantitation. Assays are fast and are complete in as little as 90 seconds. Optional Threshold Enterprise Software is available with a complete validation package and security tools that comply with GLP/GMP/FDA 21 CFR Part 11 requirements. The Threshold System’s proven advantages of sensitivity, speed, reproducibility and reliability, as well as MDC’s strong technical experience and support, have elevated this system to be the gold standard in the industry. 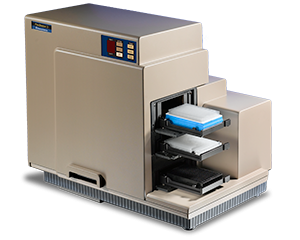 The Threshold Immunoassay System measures a wide range of analytes such as host cell proteins, bovine contaminants (BSA, IgG, transferring and insulin), Protein A and G, peptides and total DNA at low concentrations using an enzyme-linked immunoassay. Analytes are measured by incubating them with the appropriate antibody, binding protein or oligonucleotide probe which is labeled with streptavidin and conjugated to urease to form a complex. The sample mixture is then filtered through a biotinyylated membrane to actively capture and concentrate the analyte complex from the sample matrix. 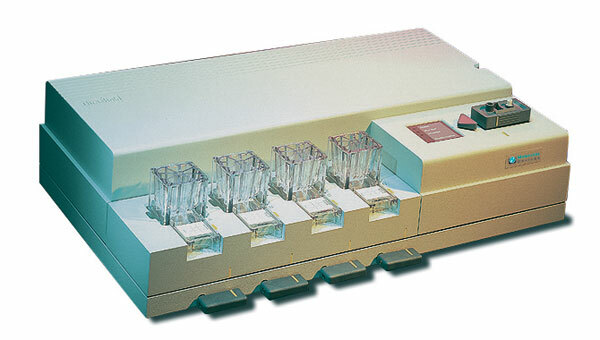 The filter is inserted into the reader and detection of the enzyme-labeled complex occurs in 90 sec by measuring the rate of enzyme turnover using a low noise silicon sensor. Threshold Software controls the workstation and collects and analyzes data. It includes five standard curve fits to provide the highest accuracy when quantitating unknowns. A complete summary report detailing the results can be printed or exported for further analysis.